Vigorously shake the egg white and lemon juice in a Cocktail Shaker for 30 seconds (burping the shaker as necessary). Add the bourbon, vermouth, and cinnamon syrup - with ice - and shake to chill. Strain into an Old Fashioned Glass and top with the bitters. 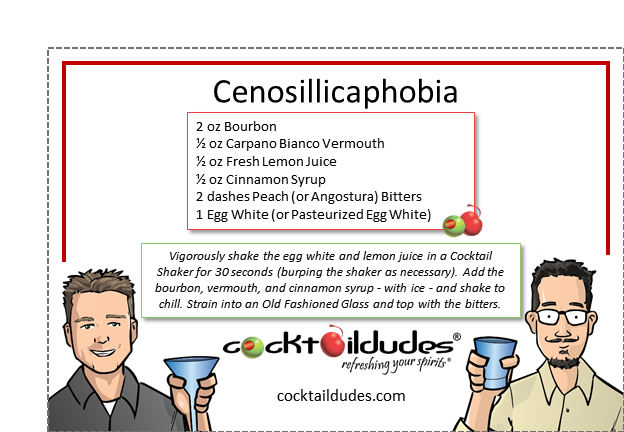 Our Cenosillicaphobia is so tasty that you’ll be afraid of allowing your glass to empty. In fact, we enjoy this drink so much that we always top off our glass before that ever happens. This cocktail is rich, silky, and delightfully sweet! 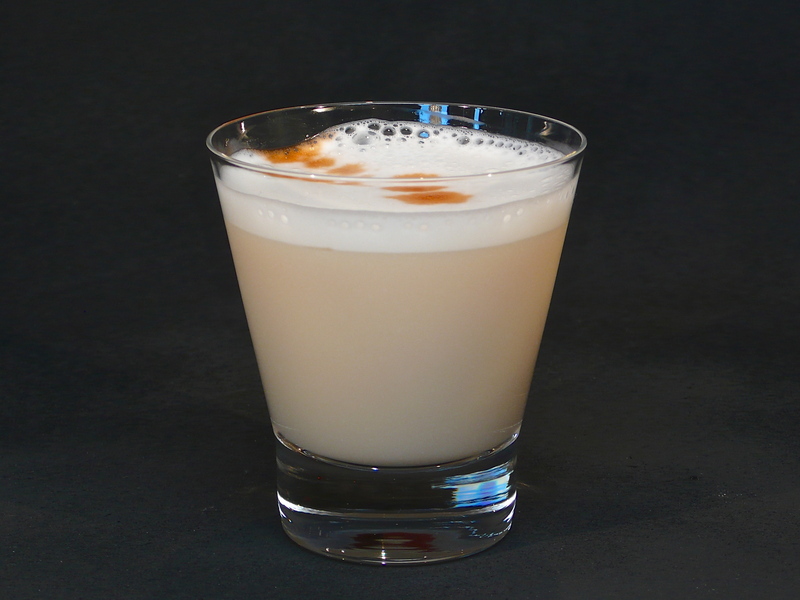 The richness comes from the combination of bourbon and cinnamon, the sweetness from the Carpano Bianco Vermouth, and the silky foaminess stems from the egg white. If you can’t find some Carpano Bianco, you can substitute a sweet red vermouth. Don’t fear an empty glass! Fill it with this delicious cocktail.